Instead of the usual “best dressed” post, I decided to do things a little different for this year's Oscars. I have decided to pick the stars who could have (and should have) done better and pick the dress I would have chosen for them instead. 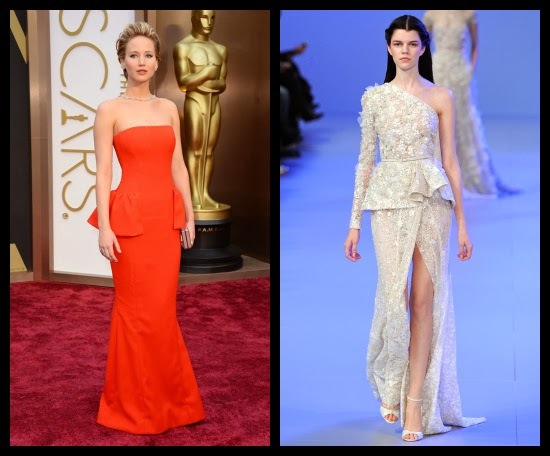 This year, the Oscars were relatively safe with the red carpet fashion. No one took major fashion risks, leaving me with relatively few “wow” moments. My picks aren't necessarily the worst dressed on the red carpet. 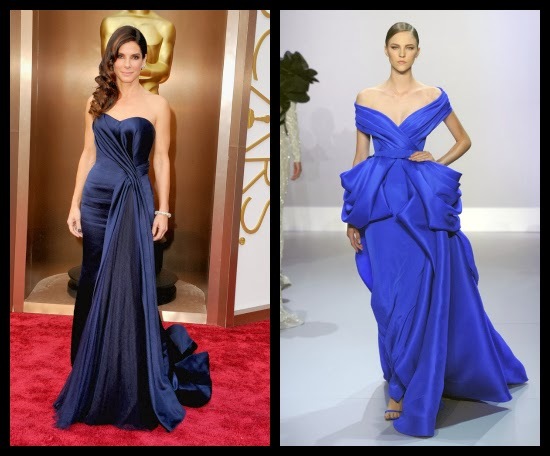 The just lacked the excitement that an Oscar dress should possess. Amy Adam’s Gucci gown was fine. But this is the oscars. You want to be better than fine. I think her skin tone and gorgeous red hair (which seemed to be in hiding) would have popped in this Naeem Khan peach dress. 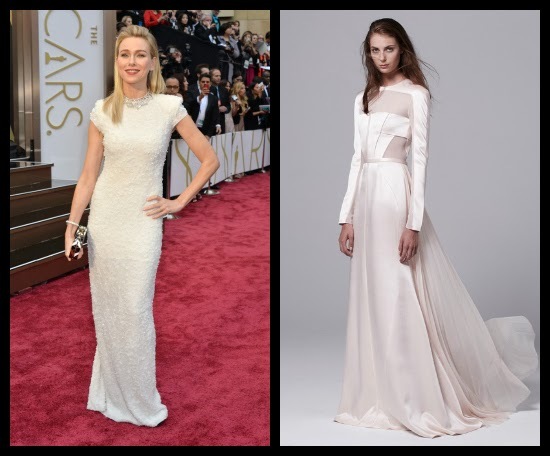 I wanted to like Julia Robert’s Givenchy dress. And I almost did. But for me, between the peplum waist, tuxedo cut top, and lace chest plate it was just too busy. Also, I’m kind of over the peplum trend that has taken over the last couple years. As an actress who has a tendency to venture for more unique looks, I would have loved to see her in this J. Mendel number instead. Surprise, surprise. Jennifer Lawrence shows up in another Dior dress. I get it. She’s the face of Dior. But she is also Hollywood’s current “It” girl and I would love to see her in something, anything, else. And again, here we are with another damn peplum. The dress was fine. The color was great. But she’s young, beautiful, and outgoing. Take a risk! You want a peplum? At least give us something to talk about in this Ellie Saab asymmetrical gown. Naomi Watt’s dress was a disappointment for me. Normally one to take a little bit of a risk on the red carpet, I thought she played it way too safe with her white Calvin Klein. If she wanted to stick with white, I would have much rather her show up in something a little more bold, like this J. Mendel long sleeve gown. Sandra Bullock looked like she walked off the set of the movie Miss Congeniality. Her Alexander Mcqueen dress was flattering and the color was beautiful, it was just a little too “pagent” for me. This Ralph Russo dress gives her a similar movie star quality, but takes it up a notch. Margot Robbie was unrecognizable. She debuted her new darker look in Saint Laurent, but honestly, I miss this bombshell we saw earlier in the year. Between the hair, the makeup, and the dress it was all too dark. If you’re going to commit to going to the dark side, at least show us a fantastic, vampy dress. She would have stolen the show in this Naeem Khan feathered gown. What did you think of the gown choices? Who do you think should have done better? All images via Huffington Post, Vogue, and Style.com. Fun to find you through the SITSgirls Spring Fling! This post is great! You have some really great insights. Thanks for sharing. Looking forward to seeing more of your posts. Thanks Amy! Love the SITSgirls spring fling. I'm excited to check out your blog as well!